I have been reviewing my online spaces and how I use them. 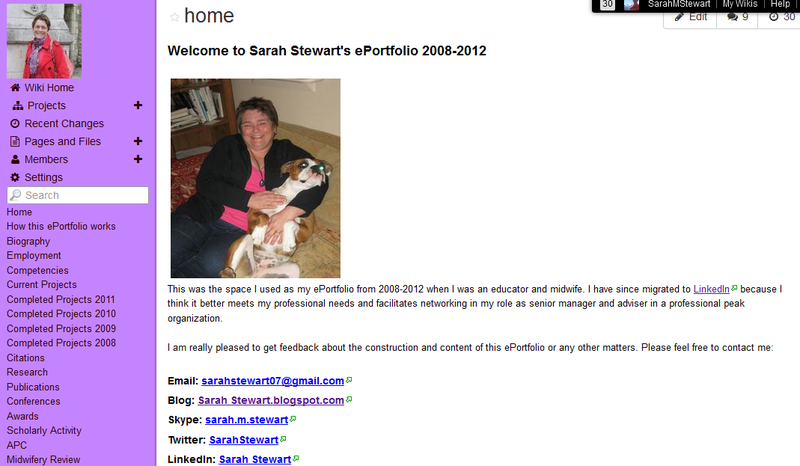 One of the decisions I have made is to move from the e-portfolio that I have been maintaining on Wikispaces to Linkedin. What is the advantage of using open software for e-portfolio? I kept my e-portfolio on an open wiki from about 2008-2012. I really enjoyed the freedom that it gave me, allowing me to design my content in which ever way I wanted. It felt very exciting to be modeling to people what can be achieved and I had lots of inquiries and comments about the legalities of having my work openly available over the years. I have written about my experiences, and the challenges of presenting my work as a practicing midwife, especially around the issues of confidentiality of patient/client information: Making practice transparent through e-portfolio (Women and Birth, Vol. 26, Issue 4, e117–e121). The disadvantage to using the wiki is that I don't feel it has the "professional look" that other platforms such as Linkedin has. The wiki was perfect as a "sandpit", especially in my role as educator. 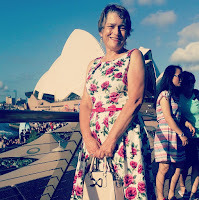 However, now I have more of a corporate role, I feel LinkedIn is a more appropriate space to highlight my professional activities.And as well as providing an e-portfolio capability, LinkedIn allows me to connect with other professionals and provides access to news and information relevant to my work. For the most part, LinkedIn provides appropriate space for my work. It does have constraints that I have to work within that my wiki never had, which is a little frustrating at times. And I don't like the vertical structure which forces readers to be forever scrolling down to get to information. However, I do like the guidance it provides which I think is really useful to people who are new to e-portfolio. And the ability to upload evidence of work into LinkedIn makes the platform more than a glorified CV. One issue that I need to explore is how to back up my work, or download it. I don't know what ability LinkedIn provides to ensure I do not lose my material. Do you have a LinkedIn account? How do you use it - for professional networking, e-portfolio, or another purpose? Agreed that Wikispaces does not have the professional look. I find that only other LinkedIn user find me on LinkedIn and the content / posts are not easily found in a Google search. I prefer Google Blogger (which is what I use for my e-portfolio). Get about 15000 visits per year. Really easy to use and update. Next time you are at UC we should chat. David: the only snag with LinkedIn is there is also a lot of rubbish there like false profiles etc. Jamie: Is Google Blogger what was Blogspot? Ie this platform? Would love to talk more. I'm in UC 19th (am), 26th (morning), 28th (am) of October. Thank you both for your feedback. Do you make the most of life's little explosions? Got me a plot in a community garden! Moving to Australia? Kiwis beware!